Page 217 of 365: Excited for Summer in the City 2015! 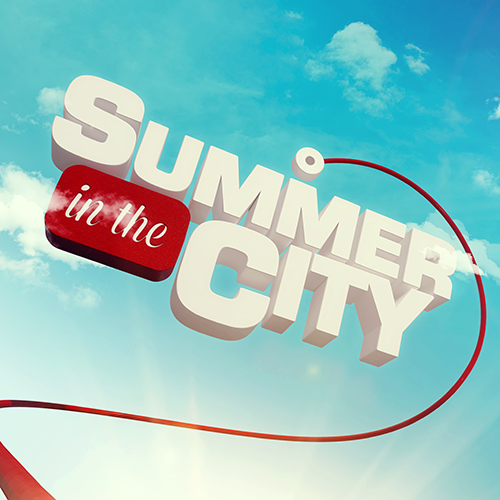 As I’ve mentioned in many blog posts before, I’m going to my first YouTube convention Summer in the City this summer and I just wanted to talk about how excited I am about it. The ballot for applying for Meet and Greet tickets opens and closes while I’m gone but I decided a long time ago that I wasn’t interested in meeting people until my channel was big enough that they might know who I am (is that vain? I don’t know, my channel may never be that big). I’m going to learn how to make better content (making the most of the equipment I have and learning how to use it better, I’m really interested in scripting) and to network, make connections – if I find someone who I like who’s interested in me and my content and they can help me progress and develop my channel, then I’d be very interested in working with them. By then I’ll know whether I’m going to uni so I’ll know whether I’m trying to line up work for when I have my degree or whether I’m looking for anything to make me money to get me through living at home for a year and paying rent to my parents. That sounds harsh doesn’t it, hopefully I’ll have the grades for uni and I’ll be trying to make connections to make myself more impressive at university. I’m really excited. I’m quite good at talking to people about things I love – I can talk about bands for hours and I can talk about all the content I make and how many ideas I have for just as long. I imagine if I was talking to someone in industry who really knows about YouTube and whatnot, I’d seem like a complete novice idiot but that’s why I’m there – I want to learn. My biggest aim, I think, from SITC is learning about making fictional content – short films. Writing scripts, directing and acting in my own films sounds so, so interesting me but I have no idea where to start – who to get involved or any ideas. Which is partially why I need the networking to make the content. If you’re going to Summer in the City, let me know! And if you see me please come say hi so we can take a selfie.